A business can lose thousands of dollars if shut down due to a power outage. In Florida, we are all used to large storms causing us to lose power for days or even longer. Reliable Power Systems, Inc. is your leading provider for commercial three phase generators to keep your business running smoothly no matter how bad the weather is outside. What Is a Commercial Three Phase Generator? A commercial three phase generator is specifically designed to run your business in the event of power failure. Our generators tie into your natural or propane gas to run your business in the absence of utility power. The commercial three phase generators are permanent fixtures at your business much like an air conditioning unit. The generators have an access panel, backup battery power and an automatic transfer switch. The generator’s automatic transfer switch continually monitors your power system and will kick in as soon as a loss of power is detected. Once your power is restored, your system will automatically turn back off keeping your business running smoothly. Business owners depend on customers being able to shop, food being able to be cooked and service being available. In addition, for essential services such as fire stations, police stations and hospitals; the loss of power could cause catastrophic consequences. With a generator you will not need to worry about losing thousands of dollars’ worth of business. You will be able to keep everything running smoothly even if your neighbors are having to close up shop. 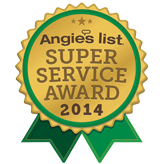 Reliable Power Systems, Inc. will take care of everything for you. We will offer a free estimate, and customize the system specifically for your business needs. You will not have to worry about getting permits, cleaning up after our crew or learning how to operate your system; we will take care of it all. Call Reliable Power Systems, Inc. today.